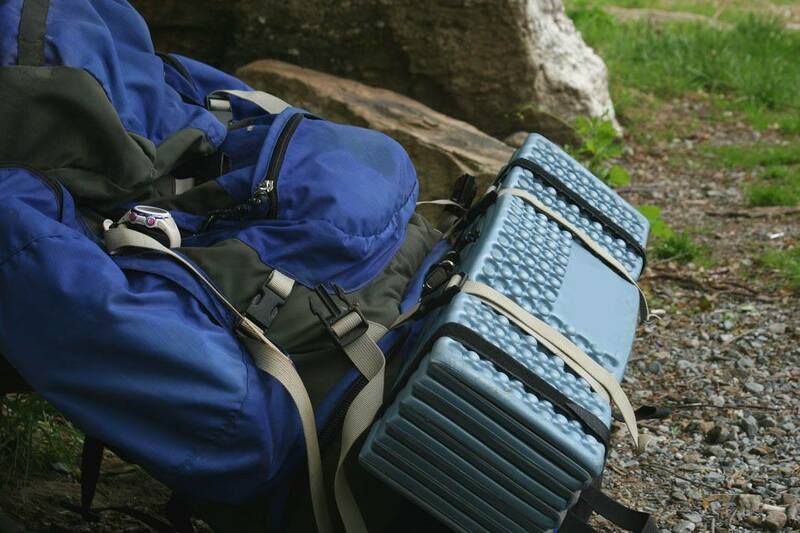 For many experienced hikers, sleeping pads are must-have items for their hiking luggage. A good sleeping pad can not only allow you to sleep and rest comfortably during your trip but also keeps you warm throughout the night. At the end of an exhausting day, what could be better than a nice comfy sleeping pad at your disposal to sleep and rest on anyway? With so many options for sleeping pads on the market, how do you know which one is the best sleeping pad for your need? To save you from the struggle of having to look at hundreds of sleeping pad options, we have compiled the list of top 10 best sleeping pads of 2018 that are guaranteed of both quality and comfort for your decision. A good sleeping pad can make a huge difference to the overall success of your trip, whether it’s a casual trekking trip or a romantic camping. It’s virtually impossible to say no to the warmth and comfort of a well-constructed sleeping pad. Once you are able to find your desired sleeping pad, you won’t have to worry about how to get through a long, cold night. The best sleeping pad will not only help you stay warm in a tent but also boost the quality of your sleep. 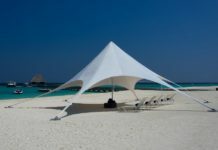 As important as it is, it can be a challenge for an inexperienced traveler to find the best sleeping pad for his or her need. There are just too many questions that come to mind, for instance, which type should you go with, or does size matter more than weight, or can an ultra lightweight pad provide you with enough warmth you need? Whatever your purpose is, there are certain points to consider when you decide to shop for a sleeping pad. 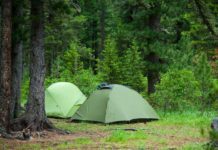 Check out our guidelines below to find answers to your questions and be able to make an informed decision on which one is the best sleeping pad for your trip. The first thing you need to know about sleeping pads is there’s more than just one type of sleeping pads. 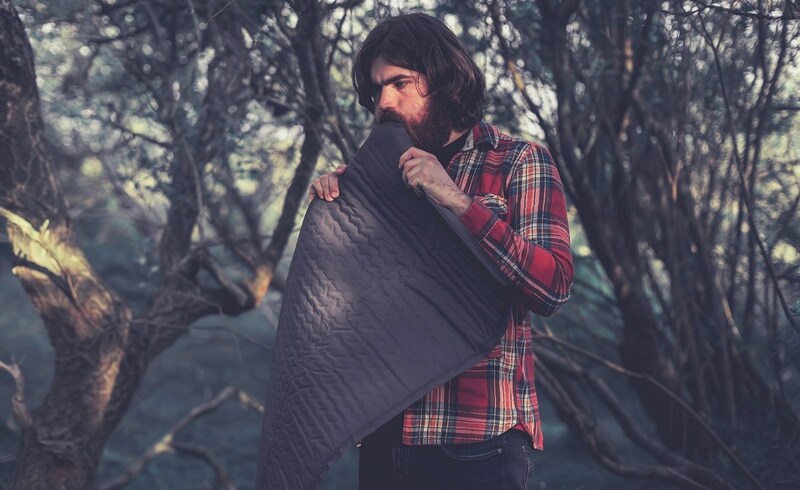 Like many other outdoor gears, a sleeping pad is manufactured to cater for different types of travel needs. Therefore, it is categorized into 3 types based on its filling for easier selection, namely air pad, self-inflating pad and closed cell foam pad. The most basic type of sleeping pads is the closed cell foam pad. 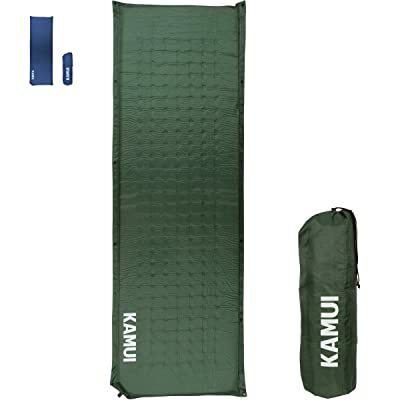 The name itself already indicates the construction of this sleeping pad type. Since the foam inside the pad is closed cell, it is usually quite bulky and takes a good amount of space. You can roll it up or fold it to save space. The best part about a closed cell foam pad is how it is less prone to damage or external force, which means you won’t have to be concerned about leakage or punctures. You can even use this pad to sit every once in a while. And the worst part? Since it’s made of tiny closed air cells, it is not as soft and as comfortable as other types. While the closed cell foam pad is the cheapest type of sleeping pads out there, the air sleeping pads are a lot pricier. Unlike the closed cell foam pads, the air pads are completely filled with air, which makes it superbly lightweight and compact. Thus, air pads are ideal for backpackers who prefer to travel as light as they can. However, they do not offer as much warmth as foam pads, so it may not be wise to choose an air sleeping pad for a winter hiking trip. Sleeping on an air pad can sometimes cause noise, which is a minus for difficult sleepers. 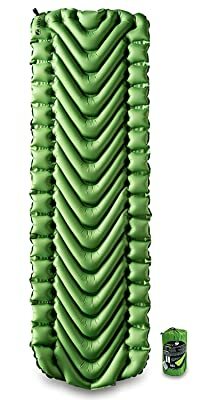 If you are looking for a hybrid type of sleeping pads to get the best of both worlds, you can consider the 3rd type - the self-inflating pad. 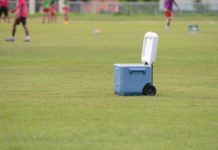 Think of the self-inflating pad as the middle option, which allows you to enjoy the warmth of a closed cell foam pad and the light weight of an air pad. 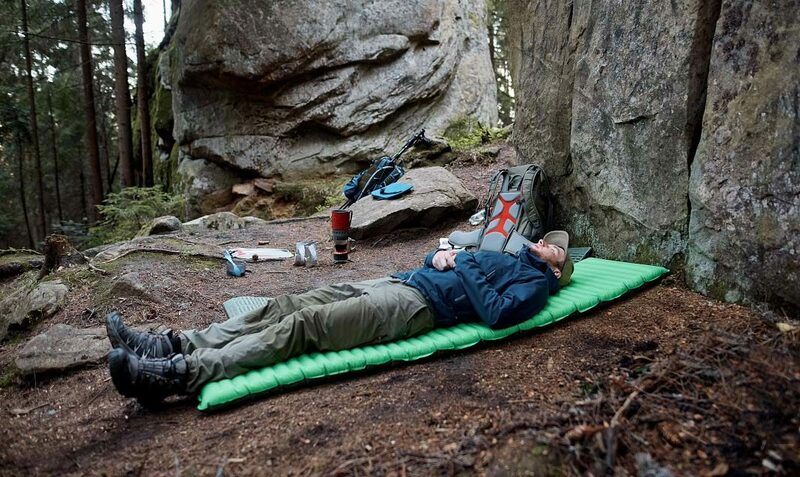 As the name suggests itself, this type of sleeping pad can blow itself up automatically by opening its valve. 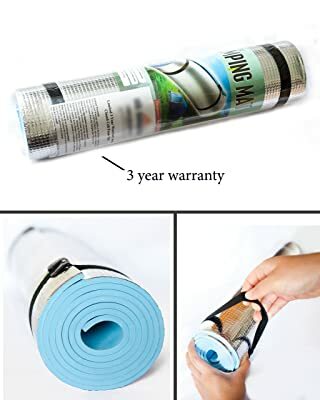 There are a couple of advantages with the self-inflating pad, such as good insulation and comfort at a reasonable price. A self-inflating pad will cost you more than an air pad but a lot less than a closed cell one. In terms of weight, a self-inflating pad is rather heavy and more vulnerable to puncture. Nevertheless, this type is considered the best car camping sleeping pad out there. Once you’ve learned basic features of each type including their pros and cons, you will be able to choose the best sleeping pad based on the following pointers. One major factor that will influence your choice of sleeping pads is how you are going to use the pad for. 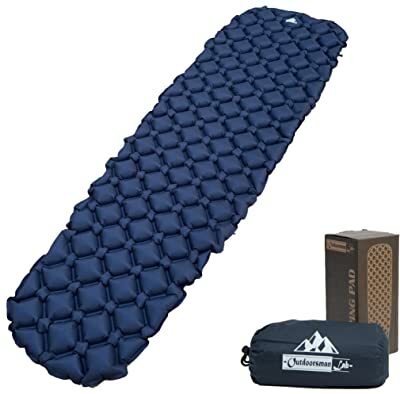 Generally speaking, for a backpacking or quick hiking trip, you may want to consider getting yourself an air sleeping pad. That way you can save a lot of space inside your backpack while still ensuring a decent sleep for yourself, not too bad, right? 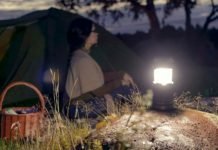 If you are looking to make a car camping trip, size and weight won’t be an issue anymore,and a little extra weight won’t bother you much. 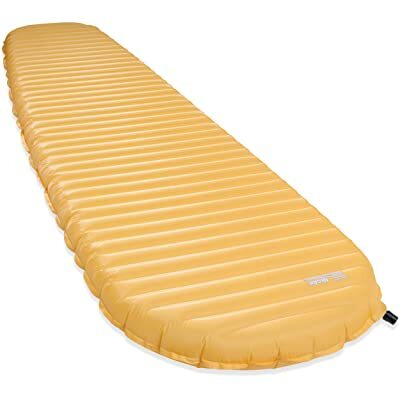 Thus, you can freely choose a self-inflating sleeping pad for optimal comfort. They are heavier than air pads, but they offer excellent warmth and comfort. 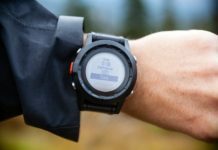 If you are looking to do a thru-hiking or a long trekking trip, you may want to prioritize durability over weight and size. While you would like to keep your belongings as light as possible, what truly matters is how your travel gears are able to last as long as your trip. The same for your sleeping pad. That’s why thru-hikers are usually recommended to opt for a closed cell foam pad for extra durability. 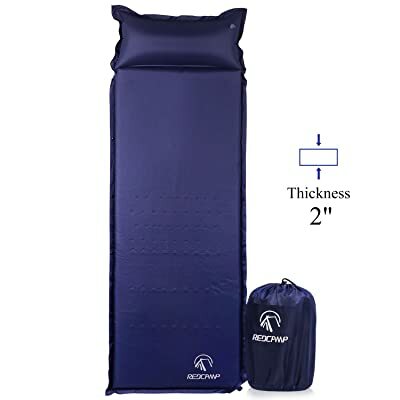 After figuring out the suitable type based on your intended use, you should also pay attention to the insulation capacity of the sleeping pad, which is demonstrated through the R value. The higher the R value is, the warmer your sleeping pad is going to be. If you plan to travel during winter, a sleeping pad with high insulation capacity is a must. Another important factor to consider is the way the sleeping pad is constructed as it will affect the level of comfort. Take a look at the width and length of the sleeping pad and consider your body measurements to figure out which will work best for you. If you travel with a partner, you should choose one that can accommodate you and your partner. Some sleeping pads are specially constructed with large side baffles to offer extra support and prevent you from rolling off. So if you are a restless sleeper that tends to turn, go for those that offer this feature. 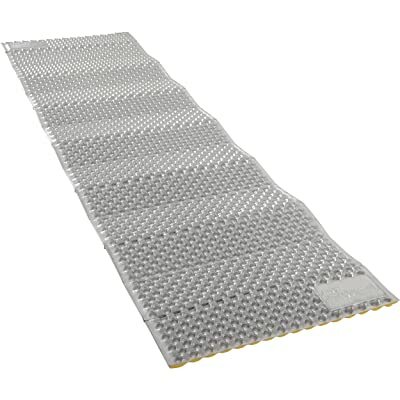 The pad surface can be an issue as well, as some specific materials can be slippery and noisy. The advice is to avoid slippery materials for a safe and restful sleep. 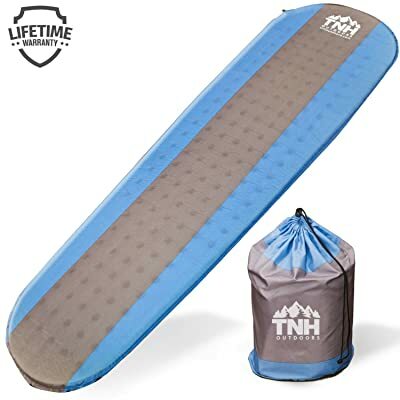 It is impossible to pick the best sleeping pad from dozens of models and products available in the market, especially when each traveler will have his or her personal preferences. We hope that the list above will be helpful for you in your quest finding the right sleeping pad for your need. The best sleeping pad can transform your trips into memorable, once in a lifetime experiences, so do not hesitate to give it a try.